The Wonderful Wedding Show is proud to launch our 2018 issue of V.I.B. Weddings, a Magazine for the Very Important Bride & Groom! V.I.B Weddings features local relevant content and Real Weddings highlighting products and services from our very own Wonderful Wedding Show Manitoba wedding experts. The magazine also features a special Show Guide section with Exhibitor Listing, floor plan and editorial about the show. 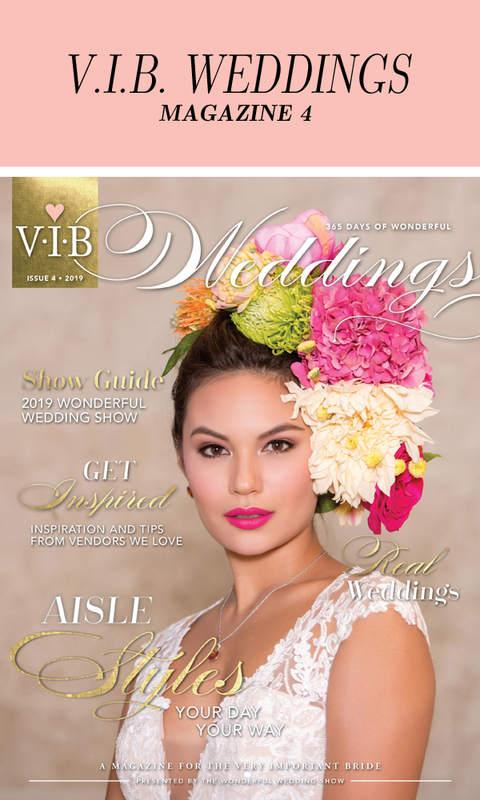 V.I.B Weddings Magazine is distributed FREE to every single attendee at the show, and also at select vendor retail locations, plus a complete interactive digital version of V.I.B. Weddings is emailed directly to Wonderful Wedding Show E-News Subscribers as well as posted on the show website (below) and social media so couples and their wedding parties can access the magazine throughout the entire year. Pick up your FREE copy of V.I.B Weddings Magazine at any of the vendor locations listed in the Vendors We Love directory.